Cort the Sport: My Custom Kit journey with Pearl Izumi! 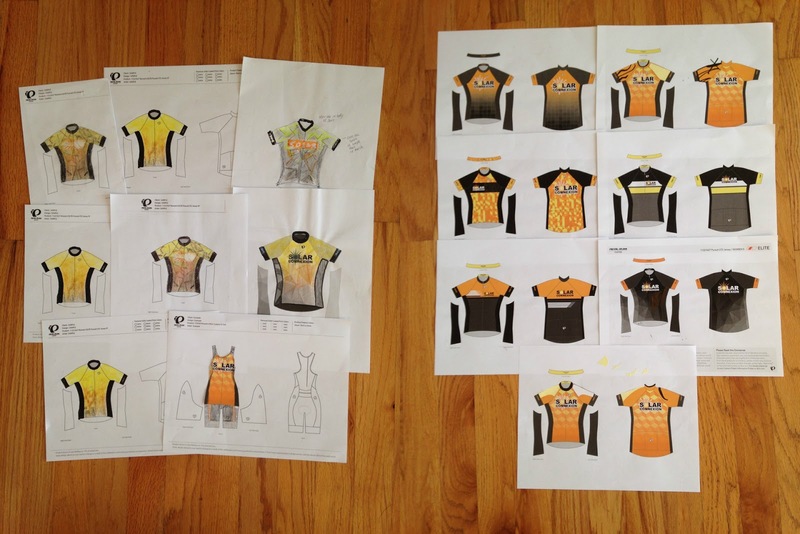 This January I looked into new custom tri kits. I've raced in three different kits across seven years and the most recent was showing signs it was ready for retirement to the less rigorous demands of training rather than racing. 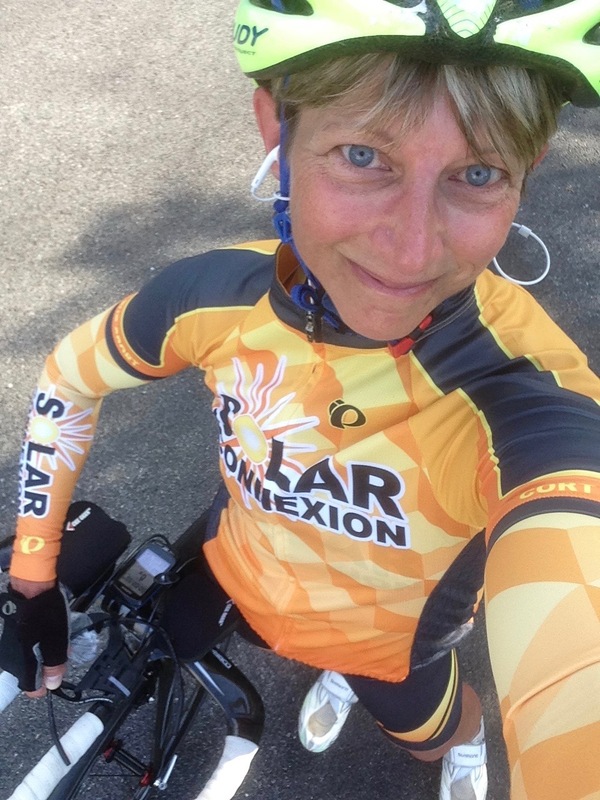 I reached out to my ultra endurance sports friend Shannon Price who works at Pearl Izumi Custom. 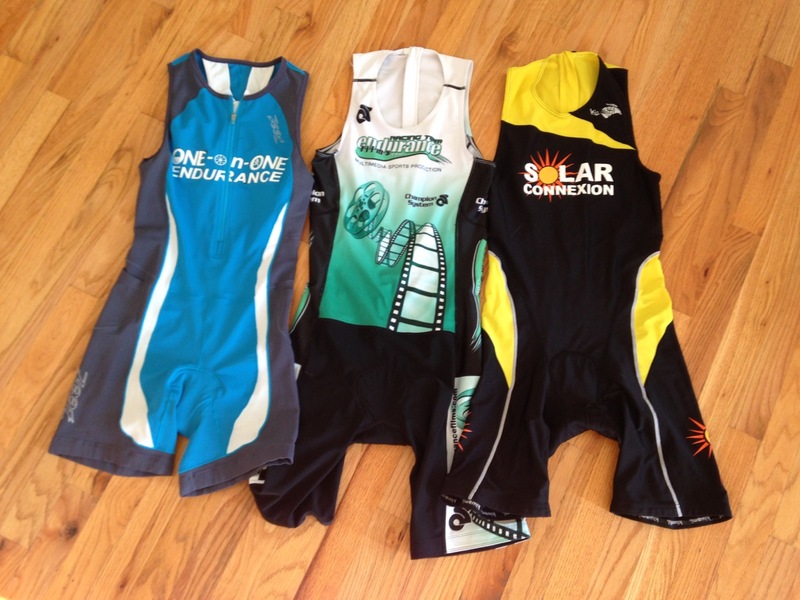 I've always been a huge fan of their apparel and all my cycling shorts and nearly all my running shorts are PI. To my delight, he said they would work with me!! 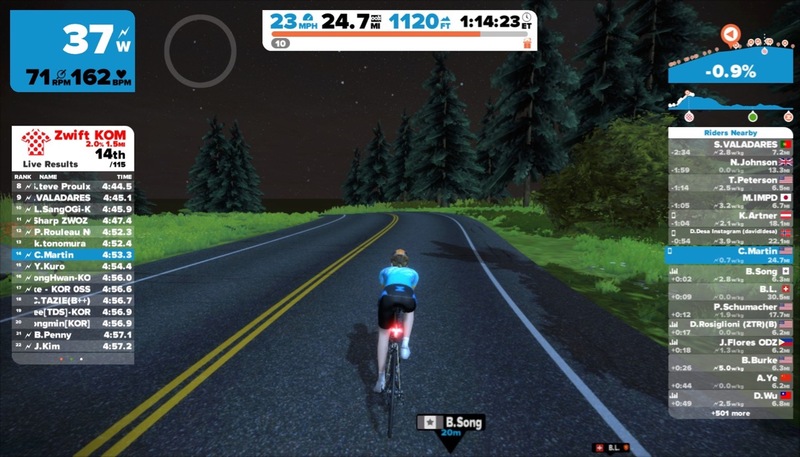 I discovered that PI has a very methodical process to take you through several cycles of design/redesign, review, and feedback along a prescribed timetable that keeps things moving along. I was paired with a designer, Julie, and we worked using their Dropbox-like system and email. I sent her the logos, color palette, and swatches of patterns that I found appealing, and indicated which general designs I liked from their idea book. 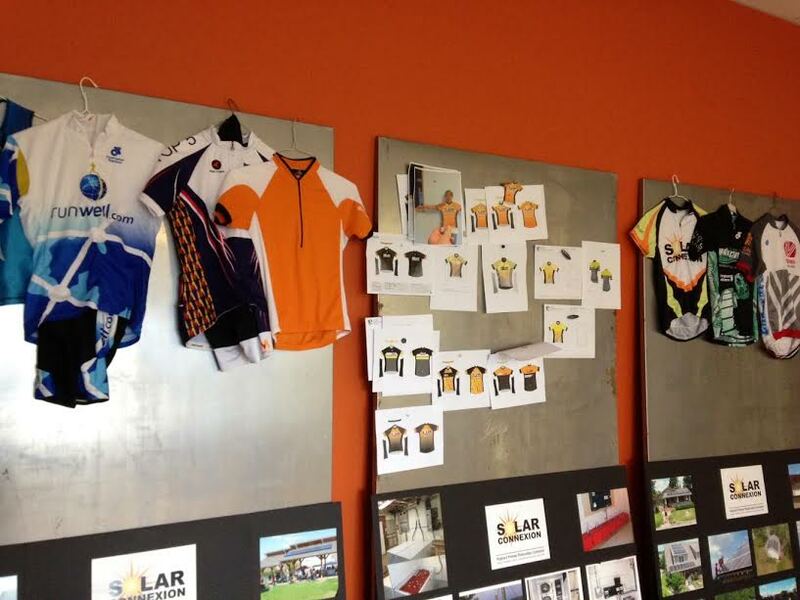 We started by focusing on the bike jersey, knowing the idea could be translated to other pieces. Within a few days we had the first round of several ideas from Julie. We set up a little creative space, bought some colored pencils, played with her ideas, and provided feedback to inform the next round. I will confess it was a little scary at times, thinking of narrowing down from an infinite set of ideas, and I would wonder what we might be inadvertently eliminating! We went through a lot of options; here are just a few colored pencil sketches and printouts, sometimes modified with scissors and tape. Early in the process I found sudden inspiration from, of all places, Zwift! 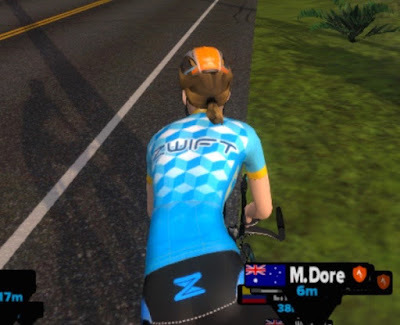 My Avatar had been wearing the jersey below, unlocked by riding 100km on my bike trainer in the virtual cycling world. So we kind of rolled with that theme. This is how I "tried on" the jerseys. 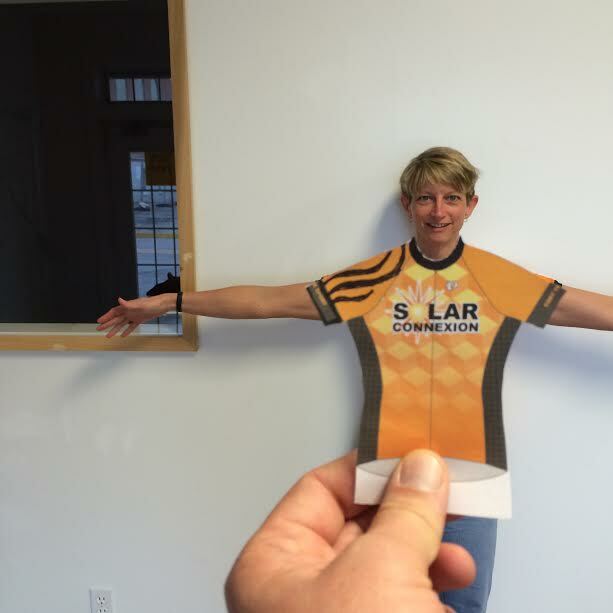 After a few iterations we had a bike jersey design finished and then Julie got to work on the other pieces. 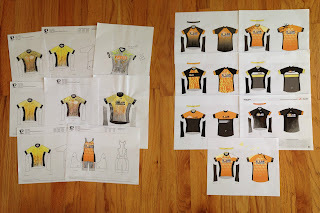 When we got close to having a full set of designs that was ready to go, I was sent a fit kit so I could try on various sizes and know exactly what I needed. 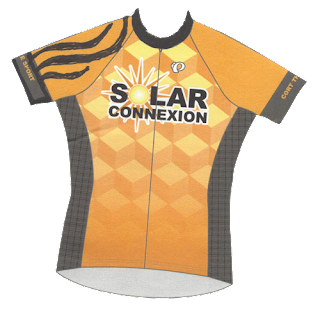 I greatly appreciate the fact in addition to the typical XS, S, M, L, etc sizes, Pearl Izumi also offers mid-sizes like XS/S, S/M, and M/L. I ended up ordering the mid-sizes for most things. After a few weeks in production, my clothing arrived on my doorstep - bib shorts, jerseys, softshell jacket, arm warmers, and one piece tri suits. 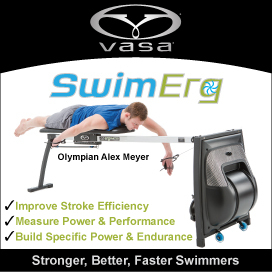 I have been extremely happy with every single piece - the colors, quality, fit, and comfort! I like the yellow and orange for visibility on the bike, and the subtle grey and black solar cell pattern accents. The process takes time and creative energy, but it's rewarding to have a unique design and high quality performance apparel. If this is something you or your group is interested in, I'd suggest doing some pre-work to gather ideas and starting early because a good process can't be rushed. I hope my overview has been helpful! 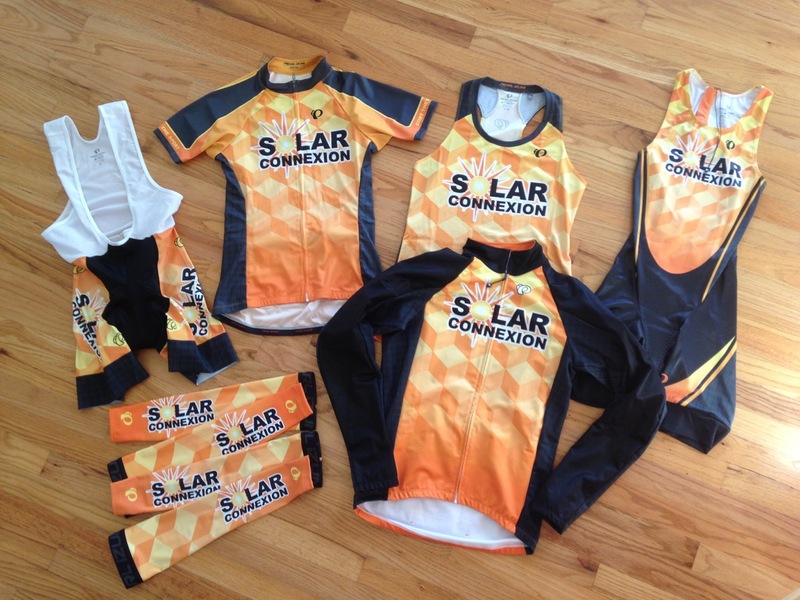 Big thanks to Shannon and Julie of Pearl Izumi Custom, and race sponsor Bryan Walsh of Solar Connexion!